We’ve all heard of and most probably visited many of London’s street markets. 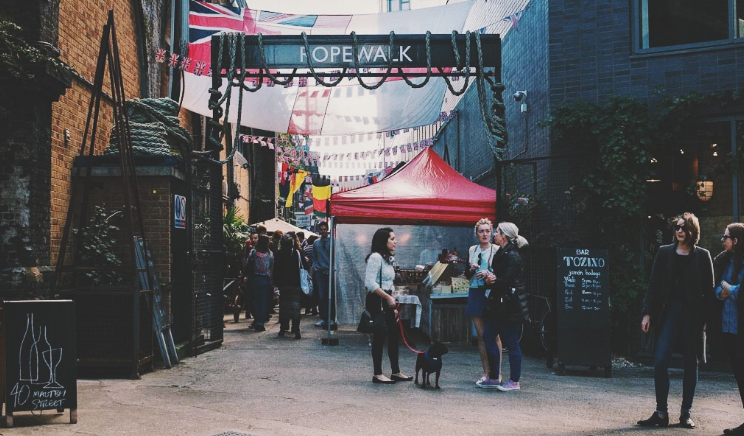 The famous Borough Market for delicious food and drinks, Portobello Road for antiques and of course Camden Market, but have you visited some of these more hidden street markets? London is littered with markets that cater to pretty much everything! Be sure to check out some of these hidden markets in London. Hidden away under a railway is Maltby Street Market, the creme de la creme of hidden markets in London. Find yourself stuffing your face with Jerk Chicken, Thai delicacies and stacks of waffles then pop to one of the many distilleries and wine bars for a refreshing drink in the sunshine. Open every Saturday 10am – 5pm and Sunday at 11am – 4pm. Looking to satisfy your cravings on a sunny weekend? Make sure you pop into Hackney Downs Vegan Market so an amazing selection of vegan delights. Find vegan burgers, pie & mash and of course vegan cake & ice cream! 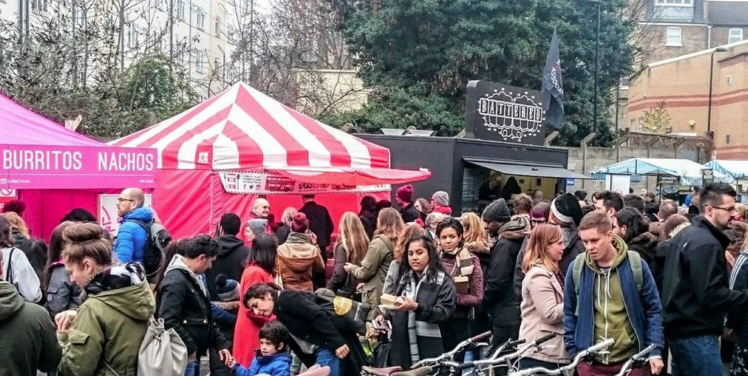 Running every Saturday, 11am – 5pm this is a market you can’t miss out on. Perfectly sandwiched between office buildings, a local cinema and multiple shops lay Bermondsey Antique Market. 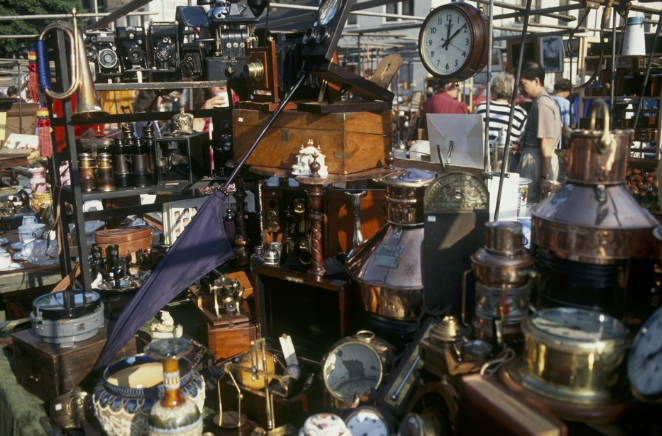 This cute market pops up every Friday from 6am – 2pm and here you can find the weird and wonderful of the antique World. Perfect to visit if you are looking for cutlery, art, furniture, and fashion. Got a craving for fish? 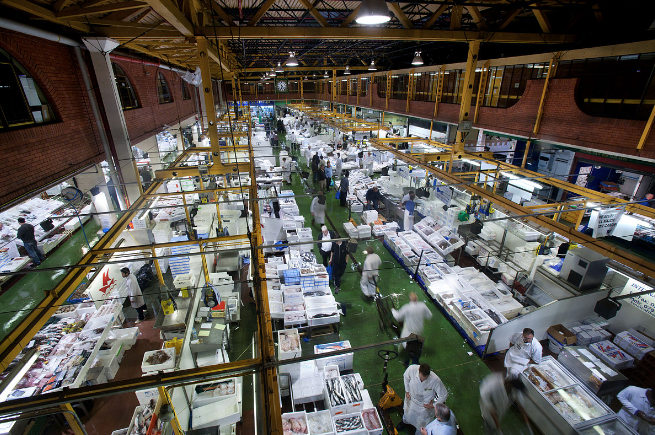 Pop to Billingsgate Fish Market to get your fill of the best catch of the day. This massive market contains a huge 98 stalls, 30 shops and 2 cafes so you will never be short of something new to see. The market is open every Tuesday and Saturday at 4am – 8am so it’s an early rise but so worth it for that BBQ that evening! 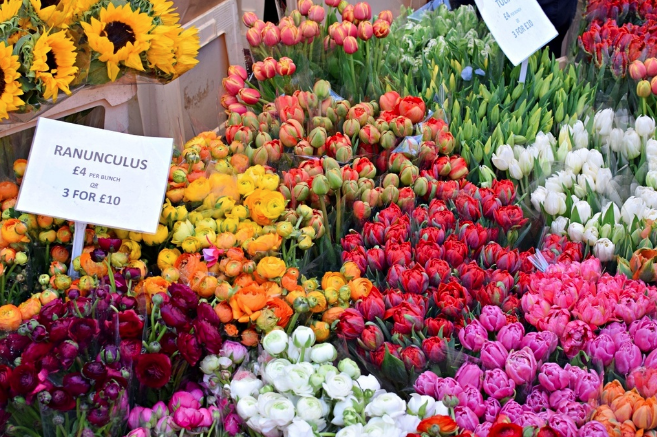 Transform your typical London day out by heading to Columbia Road Flower Market on a Sunday and see the street brighten up with flowers and foliage. A truly stunning little walk to engross yourself in smells, colours and possibly to pick yourself up some fresh flowers for the house.